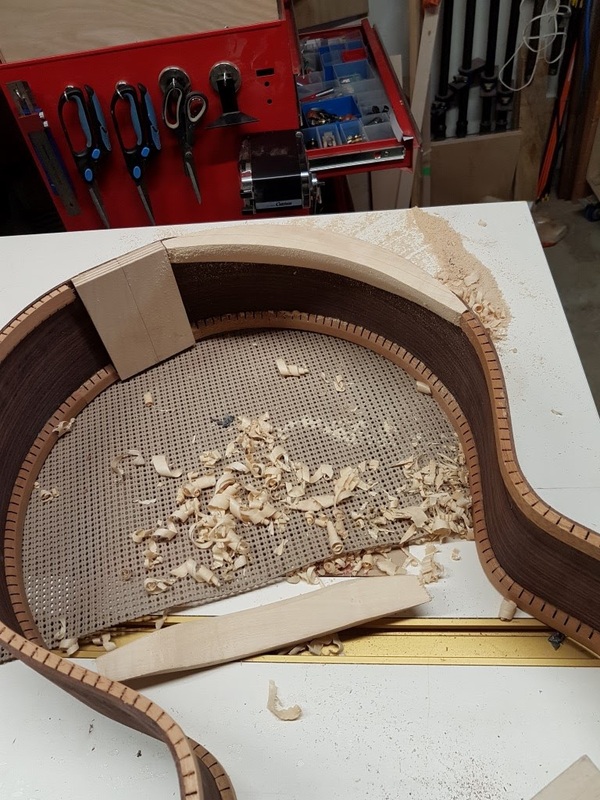 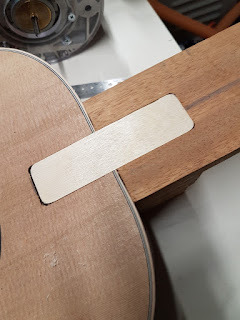 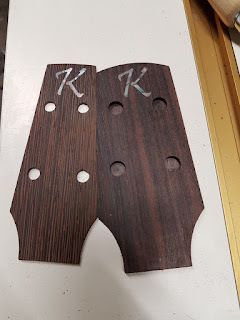 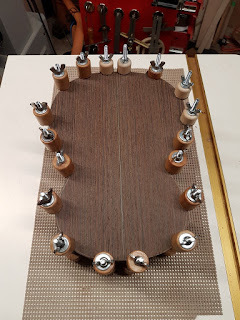 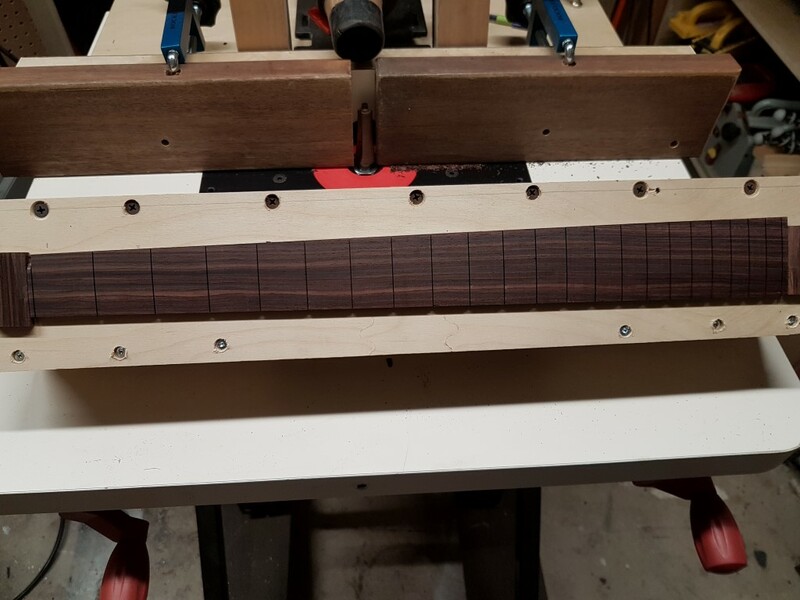 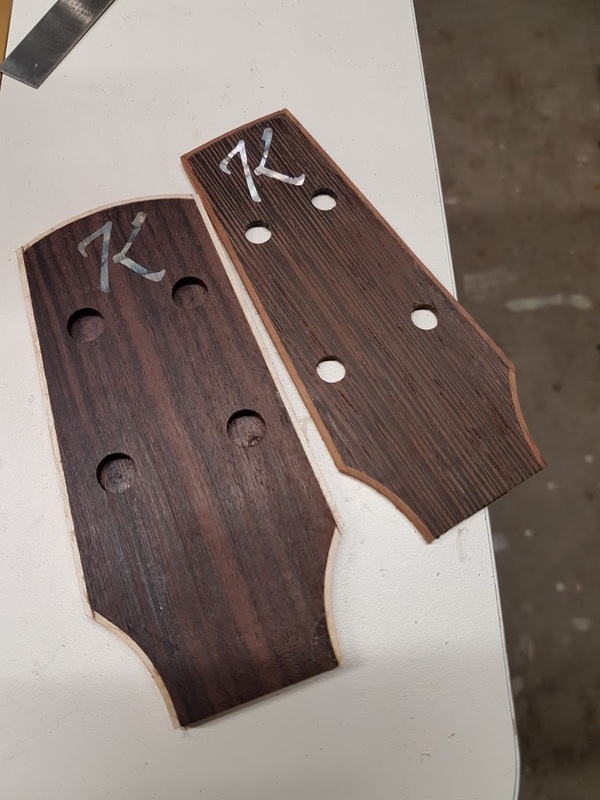 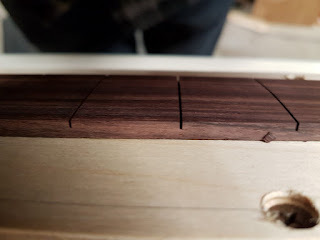 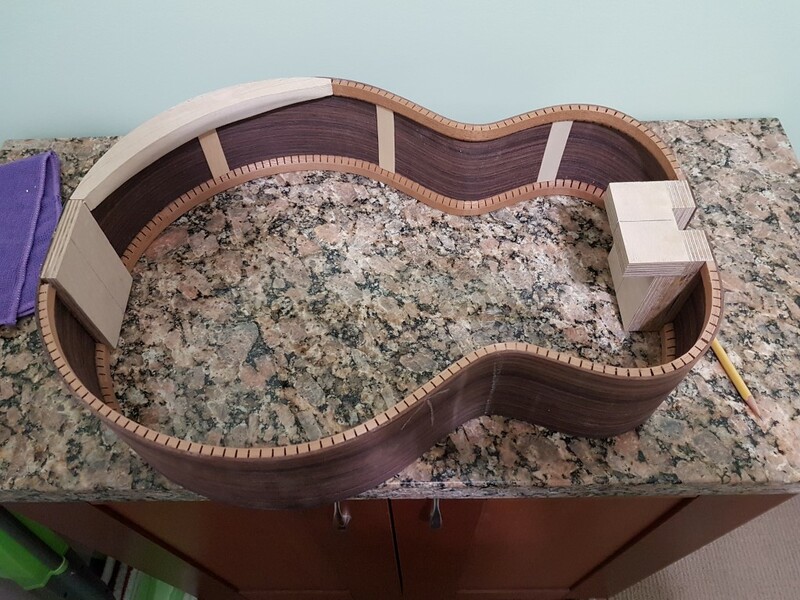 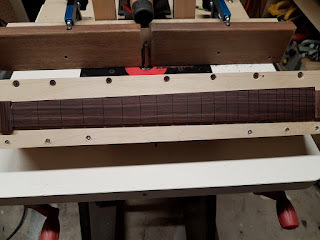 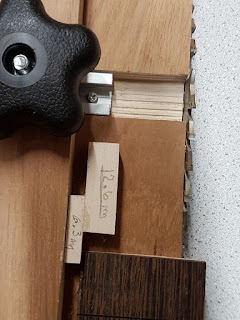 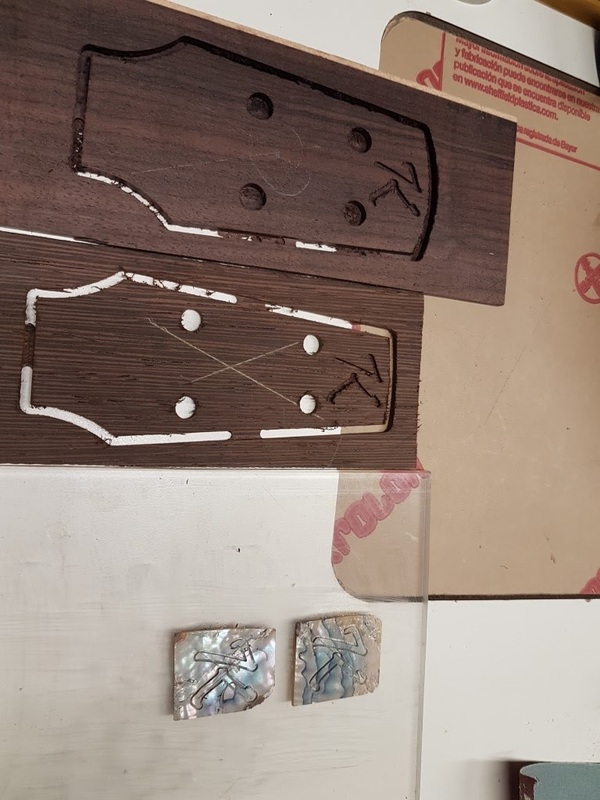 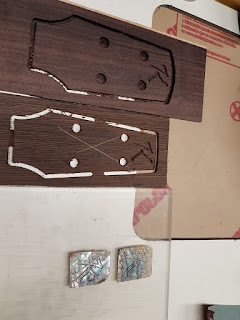 Since then Cello Guitar will have a removable neck the fingerboard extension is not glued to the body so an extension of the neck is needed and that requires a pocket in the body. 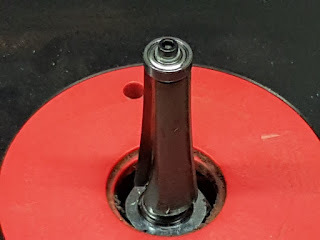 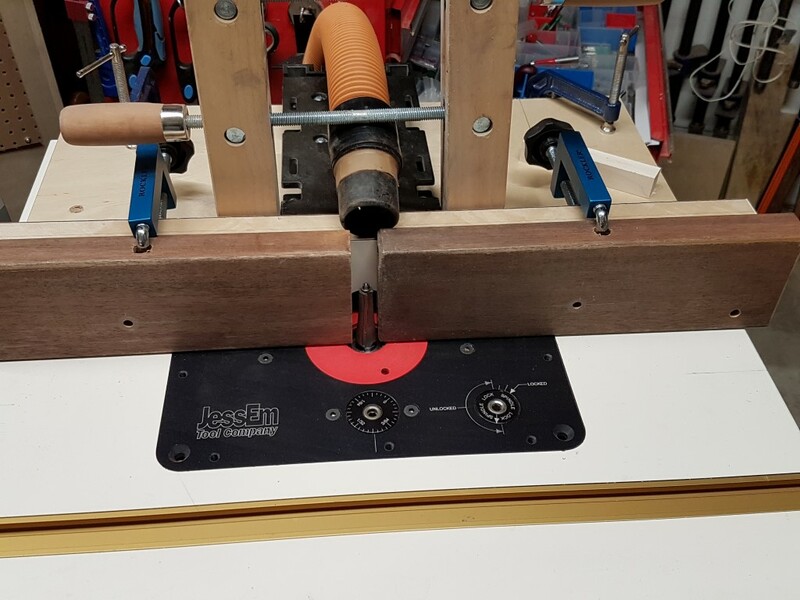 Cut with a router and guide bushing using a template. 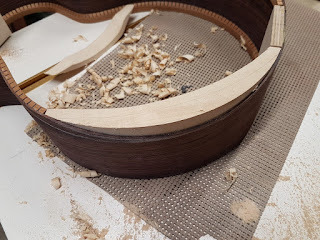 I'm updating some of my methods to get more consistent results. 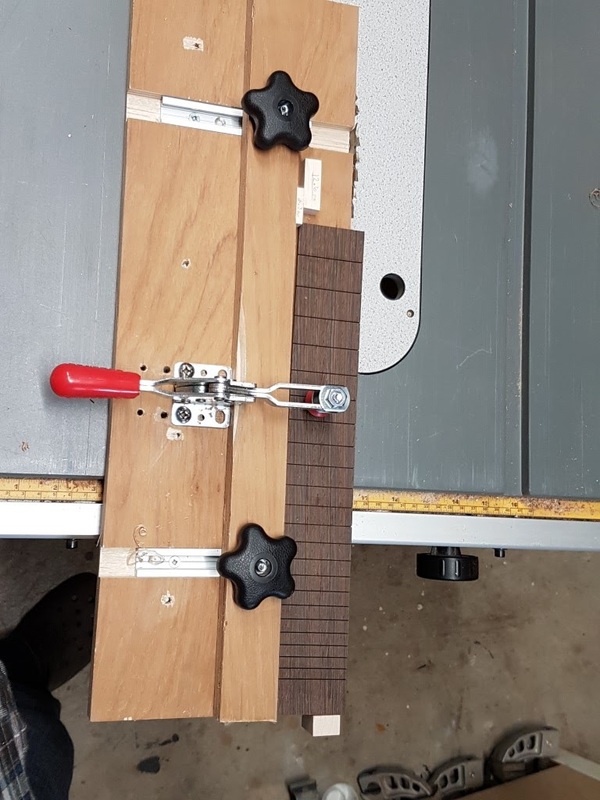 That includes how I make fretboards. 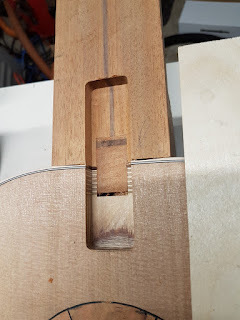 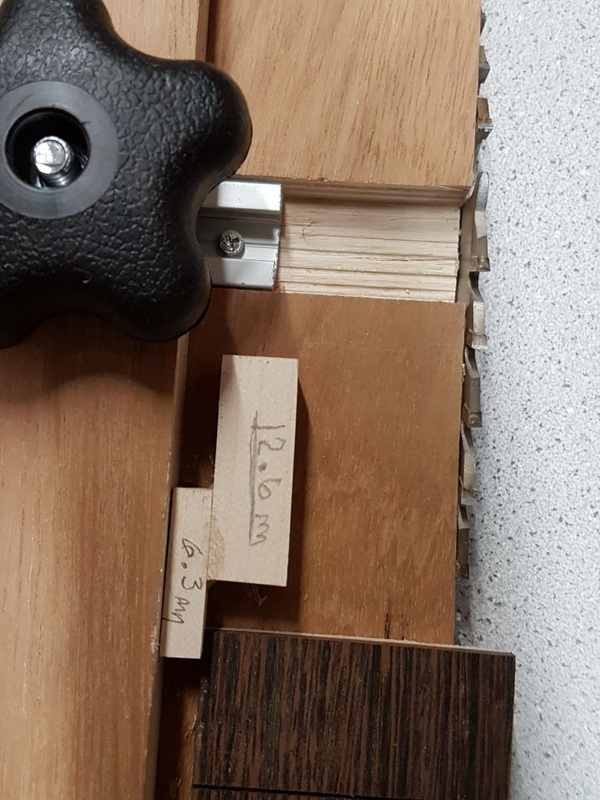 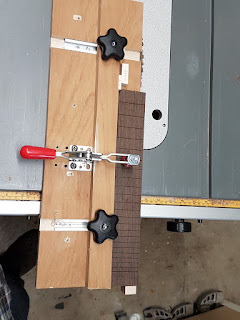 I've made a new jig to taper then and now use a set of specially designed router bits to radius the fretboards. 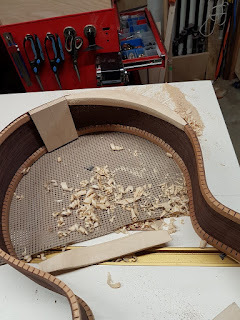 Radius router bit, this one is a 16"
Well things are going well both bodies are closed up and necks are well underway. Both bodies and progress on the necks. 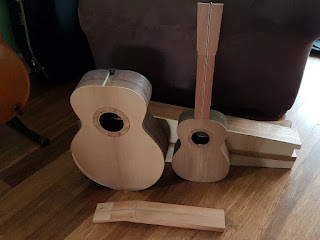 I've got some more time to dedicate to building now so working on two of the builds that were put on hold while I finished the Weissenborn. 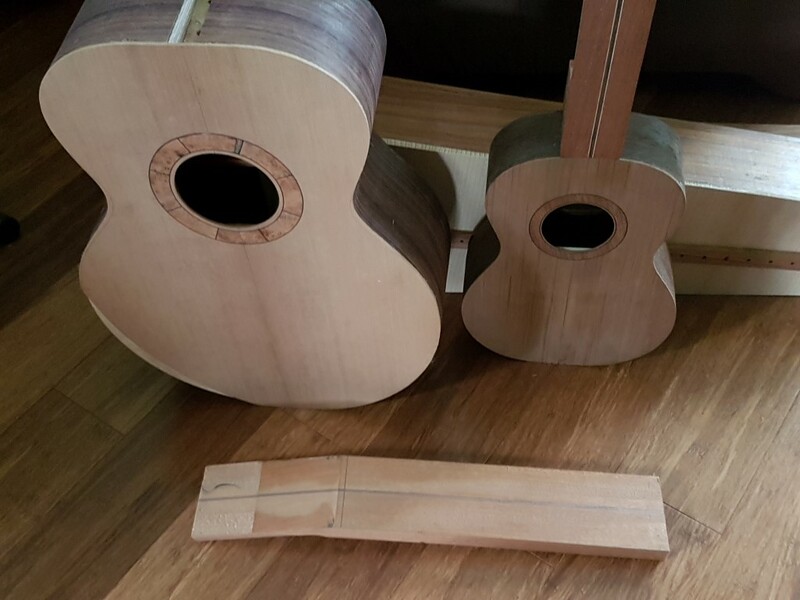 A Tenor Ukulele and a four string longer scale I'm calling a Cello Guitar.. 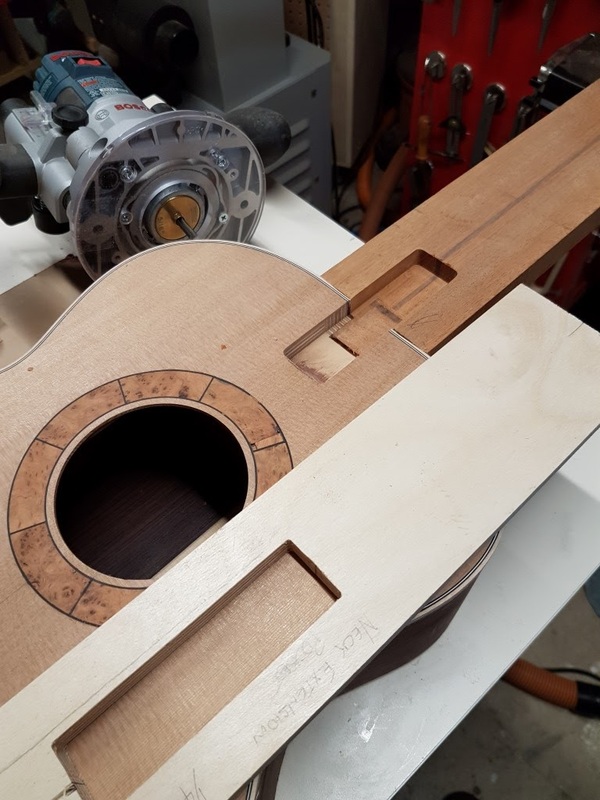 This one will have an arm bevel..